JOHANNESBURG : The Institute of Scrap Recycling Industries (ISRI) warns South Africa that any legislation to impose restrictions on scrap exports from the country may hit them back. This was conveyed to the South African Government via an open letter by Scott Horne-the Vice President of ISRI. There have been reports that the South African Government is planning to implement necessary measures to curtail the scrap exports from the country in an attempt to enhance the domestic availability of scrap and to bring down the domestic scrap prices. The open letter states that domestic scrap prices have always been subjective to global trends and that the influence of domestic controls is limited. Mr. Horne cites several instances where domestic intervention on scrap prices has gone in vain. He recalled that restrictions were placed on the value of scrap exported from the USA during 1973-74. In spite of imposing the controls on exports, the scrap prices continued to creep up. 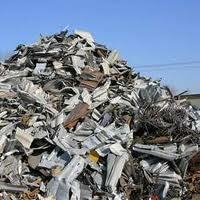 The end result was that the US steel industry was forced to spend as much as US$ 2 billion more for ferrous scrap. South Africa’s intention behind the move is to bring down the domestic scrap prices. However, imposition of ban on scrap exports will not serve the purpose. On the contrary, it may result in escalating prices. Furthermore, South Africa’s move is in violation of its obligations under the World Trade Organization’s international trade agreements. Mr. Horne urged South Africa to reconsider the proposal to impose export restrictions on scrap.